Open Your Tupperware Account Today! Open an account with Tupperware! Earn money to pay for your bills, trips, gifts, etc. 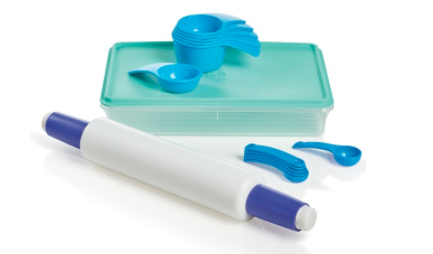 Open an account with Tupperware--just $39* down gets you your kit containing over $300 worth of Tupperware products. I'm here to help you get started and have success. Contact me and we'll open your account. Hi and thanks for visiting my website! 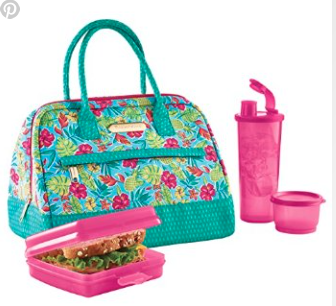 I've been an authorized independent consultant with Tupperware since April 1995 and I love being a "Tupperware Lady." If you'd like to host a party or find out more about becoming a consultant, please contact me; I'd love to share the opportunity with you. To place an online order, click on the "Shop away!" link to the right. Want to know the latest? Then join my VIP Facebook Group. Use the link below and I'll add you! The countdown to Christmas has begun. •Prepping and cooking the big meal? •Gifts for family, friends, coworkers? Tupperware can help you with all your holiday needs. You can call/email me to place an order. You can order directly from my website using the "Shop away!" link to the right. Or better yet, host a party and get the things you need for free! And as a host, you'll receive lots of extra gifts from me. It's the most wonderful time of the year! All orders placed by December 12 will arrive in time for Christmas. Here's a great gift set for the baker in the family! It's a change in the weather--it's getting warmer--and that means spending more time outside. 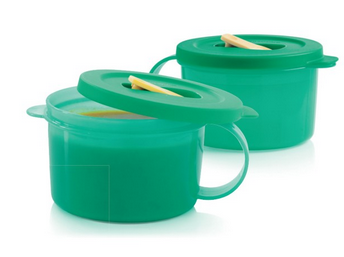 Enjoy your lunch outside by packing it in environmentally-friendly Tupperware containers. Sandwich Keepers, Snack Cups, Water Bottles, Tumblers, Salad on the Go, and so many more fabulous containers you'll want to eat outside all the time! Click on the "Shop away!" link to the right to see/order the items you want/need! Or host a qualified Tupperware party and get them for free! Contact me to set a date! 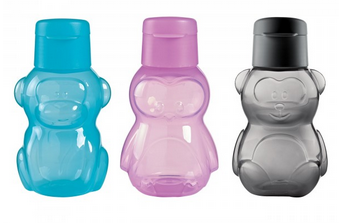 Give the gift of Tupperware. And use the Tupperware as the "box" in which to put the gift! 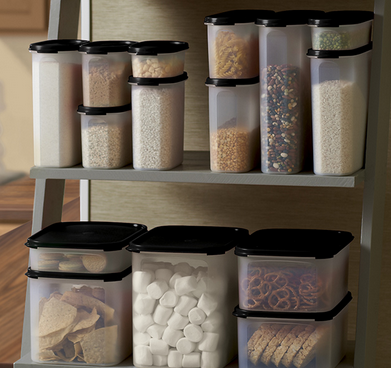 •The Snack Stor Large, and Freezer-Its are all great products for storing and giving Christmas baking. •Tumblers and Water Bottles make great stocking stuffers! And you can even put some personalized silly gifts inside them, like bandages and polysporin for the accident-prone member of the family! •For the teacher, fill a CounterScaping Dry Container or CrystalWave Soup Mug with all the ingredients needed to make hot chocolate. A tasty treat that can be used over and over again! Has the skyrocketing price of produce got you down? 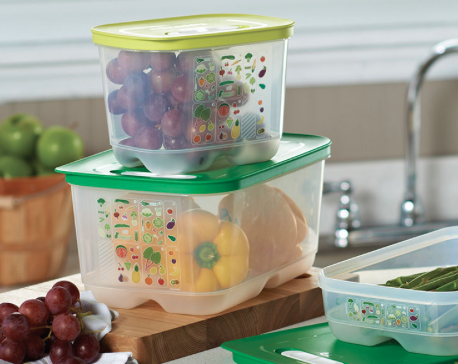 Save on your grocery budget by storing your fruits and vegetables in FridgeSmart containers. With their venting system, you always have the right airflow for the produce you're storing and that keeps them fresher longer. And that means you won't end up with produce that's gone bad which you'll just toss away. No wasted produce means no money wasted! FridgeSmart is available in a variety of sizes so you can get the ones that work best for you! Click on the "Shop away!" link to the right to see and order your FridgeSmart products as well as any other pieces you need. Better yet--host a party and get your FridgeSmart for free! Contact me to pick a date for your party.